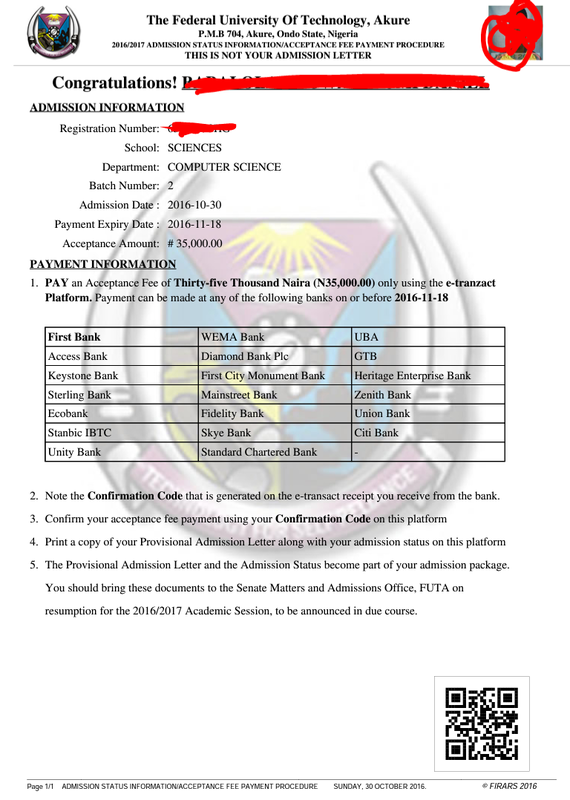 FUTA: 2nd Batch Admission List Released!!! 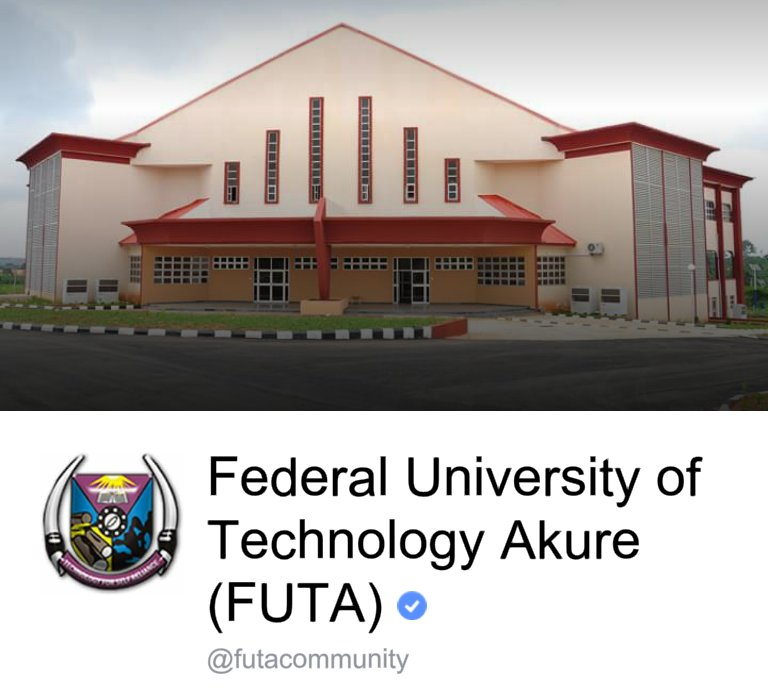 The 2nd batch 2016/17 Admission list for the federal university of technology akure as been released this evening. 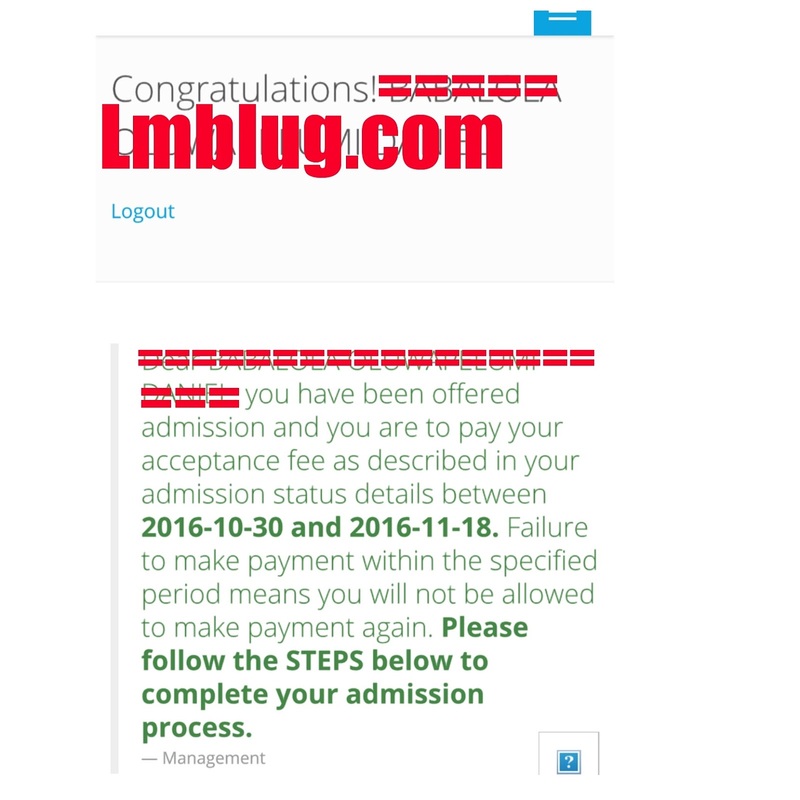 You are to pay an acceptance fee of N35,000 before 18th of november to accept your admission... and also nothing is said about resumption date yet, you are to be notified by text messages so don't forget to submit your phone number. Also, success stories have been from predegree students so far, but if you are a jambite don't loose hope yet... check yours to confirm and be sure and let us know. See evidences below: the privacy of the below sample is sensored.